Redwood City, California, USA, 2018-May-09 — /REAL TIME PRESS RELEASE/ — Parallax Media Ventures, a leading animation storytelling production company, today announced that it is developing the classic American comic strip, ‘B.C.’ by John Hart Studios as an animated feature film. The team’s pitch reel, featuring storyboard images and concept paintings, will be available for private viewing in May. The feature is a 4-quadrant title Parallax is shoring up for early 2021 release, and currently meeting with potential partners and financiers. Founded in 2015, Parallax Media Ventures is led by Kevin Richardson, a former executive and senior producer at Nickelodeon, Electronic Arts and Mattel Interactive, and on feature films for leading domestic firms as LucasFilms, Hyperion, Colossal; and abroad at Wang Films Taiwan, MS Films Germany, KingKey Animation China, and most recently Studio Climb Malaysia. Kevin initially became interested in ‘B.C.’ in high school when he produced an animated short on the building of Stonehenge with characters inspired by the strip. 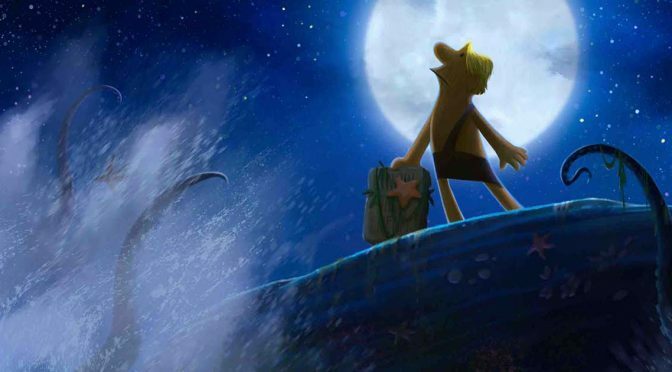 The Parallax ‘B.C.’ team has collectively worked on 18 animated features, with an aggregate $10 billion USD box office. Julia Lundman – Julia Lundman is a concept illustrator with over twenty years of experience in the entertainment business. Classically trained, she started her career in commercial animation, art directing commercials and animated shorts, one of which, “Stubble Trubble” was nominated for an Academy Award in 1999. After moving to San Francisco in 2000, she moved into concept art and illustration for games, concept art for Lego, and served as Art Director on Disney’s animated series, “Whisker Haven Tales”, produced at Ghostbot. She was honored to be a finalist in the ILM Art Station worldwide contest in 2015 for key frame concept art. Claus Dzalakowski, art direction/look development – based in Australia Claus recently opened a facility in India for animation and FX work. Claus has worked on animated features and TV in over 10 countries and has held key positions on several Nickelodeon productions such as Bubbleguppies. Dave Fulp – Story Artist – 35 years of animation, story, and design experience for projects such as Toy Story 2, Monsters Inc., Finding Nemo, Disney, Pixar, Universal, Warner Bros., Laika, and more. Mike Cachuela – Story Artist – 30 years of story development experience including classics Nightmare Before Christmas, Toy Story, The Incredibles, and Ratatouille. Instrumental in setting up animation feature studios like LAIKA where he co-directed Coraline. Jim Beihold – story consultant – more than 16 features in 30 years, including work on Tarzan; The Little Mermaid, and The Chronicles of Narnia: The Lion, The Witch, and the Wardrobe. Jaikumar Balasubramanian – animation pipe and pre-viz – one of India’s best animation directors and CG pipeline and FX masters, he has worked for Technicolor, Nickelodeon, Disney, and Sony Imageworks. EDITOR’S NOTE: If you would like a photograph of Kevin Richardson, founder of Parallax Media Ventures; Parallax Media Ventures team members, or concept art images from ‘B.C. – BACK TO CIVILIZATION’ please contact Kevin Richardson at kevin_richardson@parallaxmedia.ventures or +1-510-366-8562. Parallax Media Ventures is a trademark of Parallax Media Ventures. B.C. Copyright and Trademark: © & TM Ida Hart Trust. All Rights Reserved. Washington, DC, USA, 2018-Jan-15 — /REAL TIME PRESS RELEASE/ — The year 2017 was known in the world of cryptocurrency-based crowdfunding as the age of the Wild West — infamous for its massive, oft-unwarranted treasure chests being entrusted to companies barely out of the whitepaper stage during their TGEs — Token Generation Events also known as Initial Coin Offerings, or ICOs — offset by regulatory uncertainty, frequent multi-million-dollar scams, and sometimes even wholesale freeze-outs of crypto assets in several countries previously friendly to practice. The year 2018, on the other hand, is expected to issue in a certain sense of clarity and solidity to the markets, populated with ambitious projects at last aware of their own strengths and weakness, and carried on the shoulders of teams capable of actually bringing their lofty visions to life. WishKnish (https://wishknish.com), a Washington, DC-based startup providing turnkey, decentralized, gamified marketplaces to businesses, social causes, and communities — along with tailored BaaS (Blockchain As A Service) solutions to enterprise clients — aims to be one of these latter entrants. By bringing in Mr. Mohammed Ebrahim Al Fardan as the Executive Vice President of the MENA and APJ region, the group has now expanded its core team to broadcast its messaging far beyond existing marketing frontiers. A 2014 Entrepreneur of the Gulf region recipient, Mr. Al Fardan is the mastermind behind the concept, technical study and master plan for the MENA ICT hub city, a first and only fully integrated smart city in the world as stated by industry experts, and for many years one of the driving forces for the region’s Oil & Gas, Real Estate, Luxury Goods, Investment, Travel & Tourism, and Pharmaceutical industries. 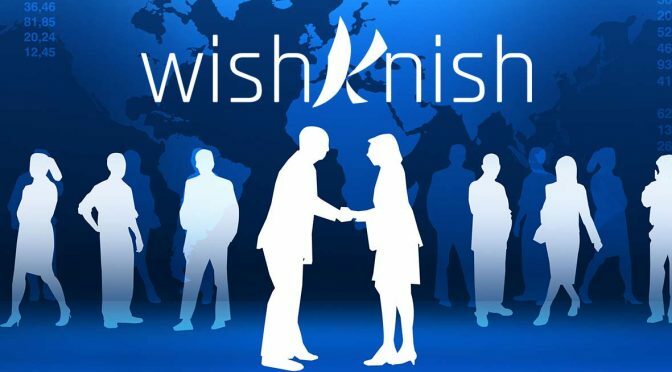 WishKnish (https://wishknish.com) offers businesses, affiliates, and non-profits a decentralized marketplace platform for launching gamified, socially-engaged storefront communities equipped with the tools to turn regular users into super-fans and evangelizers while streamlining coin-agnostic e-commerce and fulfillment, as well as offering advanced blockchain-as-a-service tools to meet enterprise clients’ needs. Mohammed Al Fardan is a serial entrepreneur specializing in Computer Science, International Business and investments. Upon graduation he joined IBM, then Lexmark, Microsoft and other top ICT multinational firms. He has more than two decades of ICT experience, then he leveraged on his experience, knowledge and connections to introduce the Venture Capitals concept to the Middle East region as well as Entrepreneurship, in 2014 he was awarded the Entrepreneur of the Gulf region. He managed acquisitions and created venture capitals focused on ICT industry in the region. As well as he attracted many ICT firms to come and work in the MENA under his leadership. “Michigan fall colors are spectacular flying OVER tree tops in a hot air balloon,” says Scott Lorenz, President and Chief Pilot of Westwind Balloon Company of Plymouth, Michigan. Most hot air balloon rides in Michigan last about one hour and Lorenz flies over the woods and streams of Kensington Park and Island Lake State Park. He and several other pilot friends meet at Park ‘n Ride area off Milford Road and I-96 (exit # 155) about 2 1/2 hours before sunset. From there he’ll launch helium balloons, determine the wind direction, then take a short drive to one of nine launch sites in the area that give the best views and best landing sites downwind. What to wear? Lorenz suggests passengers wear tennis shoes and jeans. He says the air temp “upstairs” is within a couple degrees of ground temp so it’s not a factor. Cameras and video cameras are highly recommended to preserve the once in a lifetime moments while flying over the countryside. Since fall color balloon flights are popular Lorenz suggests people call now to reserve a spot. Flights cost $695 for a private ride which is two passengers and the pilot. All flights are pre-paid. Visa, MasterCard, AMEX, Discover and PayPal are accepted. Gift certificates are available. Westwind Balloon Company – Plymouth, MI, Flying over Kensington Park, Brighton, South Lyon and Milford. 734-667-2098 | http://www.westwindcos.com/balloon | Scott Lorenz, Pilot and Owner. Scott Lorenz, a commercial balloon pilot since 1982, has logged 1,850 + hours in-flight. He has flown over Niagara Falls, The Great Wall of China, Disney World, the Olympics, Austria, Japan, Spain, Red Rock Canyon NM. He co-piloted a Guinness World Record flight to 19,000′ and a 20 hour-Gas Balloon flight from MI to KY. Westwind has been featured by FOX-2 Detroit, WDIV, WJR, The Detroit Free Press, Oakland Press, HOUR Detroit, to name a few and was named “most creative date” by It’s Just Lunch. In 2012 Westwind was name one of America’s Most Romantic companies for the balloon engagement flights. Scott’s Westwind Balloon Company offers unforgettable rides over Michigan’s breathtaking countryside. Balloon rides make terrific gifts!! Call 734-667-2098 or visit: http://www.AboveMichigan.com. Westwind Balloon Company is a member of The Balloon Federation of America (BFA) and the Southeast Michigan Balloon Federation (SEMBA). Nashville, TN, 2016-Oct-10 — /REAL TIME PRESS RELEASE/ — Real Estate Lead Partner (www.realestateleadpartner.com) has made the decision to move their sales headquarters to Nashville, TN. Real Estate Lead Partner is a sales and marketing company that uses social media to help real estate and mortgage brokers get qualified leads for their agents. Utilizing a customized approach with Facebook, Twitter, Google, Yahoo and other popular social media sites Real Estate Lead Partner can develop an individual affordable marketing budget that delivers guaranteed results. If you would like to receive a personalized quote for a real estate lead generation within your budget visit them online at www.realestateleadpartner.com or call 615-237-5524 and speak to an regional account executive today. Cleveland, Ohio, June 26, 2015 — /REAL TIME PRESS RELEASE/ — EconomyPR.com today announced the launch of its affordable, streamlined “do-it-yourself” public relations services for entrepreneurs, Amazon Sellers and crowd-funders today. Bridging the gap between random “gig economy” freelancers and premium agencies, EconomyPR.com has demonstrated in beta that it can deliver professionally-written press releases, blogs and media pitches at a fraction of the fees charged by agencies and publicists. The company’s do-it-yourself model enables clients who might not have even considered PR to conduct effective media campaigns. Taylor, who has managed public relations in the Fortune 500 as well as for several venture-backed startups, founded EconomyPR.com after observing a disconnect in the modern public relations market. While many traditional PR firms require monthly retainers that can reach tens of thousands of dollars, the actual writing of a press release — which is all that some clients want — could be performed by freelancers for well under one hundred dollars. The proliferation of gig economy freelance sites such as Fiverr and PeoplePerHour has given public relations customers access to thousands of low-cost writing resources. However, quality and delivery can be unpredictable on these sites. The challenge was to create an end product that met the client’s expectations while preserving the value of the gig economy. EconomyPR.com performs an essential editorial function, marshaling the resources of a skilled, curated freelancer base to enable low-cost press release writing for clients while enforcing professional standards for quality and message impact. The company also helps clients repurpose their press releases, adapting them into articles, blog posts and media pitch emails. In pre-launch beta, EconomyPR.com has helped dozens of entrepreneurs get their news picked up in the media. EconomyPR.com’s basic offering is a 300 to 400 word press release for $25. Standard delivery is three business days. Extra charges apply for rush services and add-ons, such as blog post adaption and email pitches. For more information, visit www.economypr.com. Guru IM Expert Chad Ian Lieberman Reveals the Pros and Cons of Internet Marketing Techniques. New York City, NY, February 26, 2015 — /REAL TIME PRESS RELEASE/ — Chad Ian Lieberman, the lead Search Engine Optimization (SEO) specialist at 6WSEO, today announced the release of yet another of the company’s awesome SEO trainings on Pay per Click (PPC) marketing versus organic marketing. The training aims at giving businesses insights on why they should opt for search engine optimization for their business websites, as opposed to going for PPC marketing upfront. “Unlike PPC, SEO offers a long term traffic solution to a business. With PPC, your traffic stops coming in as soon as your pockets run dry. Of course, if you have very deep pockets, you can go with PPC solely. But it is advisable to take advantage of organic traffic from the search engines because it is easily achievable, keeps flowing for the long term, and is very affordable”, said Chad. Although the SEO process takes time for the results to be visible, Chad advises that it is the best option if what a business seeks are long-term solutions to its web traffic and visibility problems. Organic traffic is timeless and once it starts coming in, it does not stop. The only time it may stop is if the foundation of your SEO campaigns was not on the right pillars, or if you used black hat techniques to achieve your rankings. These reasons may get your site dropped in the rankings or banned altogether when the search engines update their algorithms. “For new businesses websites, one may opt to go for both SEO and PPC simultaneously. The PPC brings in instant traffic to the website so that you can kick start the business’ web traffic as you wait for the SEO efforts to yield results. However, as soon as your organic traffic kicks in, you should switch off the PPC campaigns. In any case, the organic traffic, if targeted right, should bring in buyers who help you recover/compensate the PPC costs used”, adds Chad. 6WSEO is a leading USA SEO agency based in New York. It is a top 100 SEO Agency in the US offering cost effective search engine optimization services and keyword research, which leads to highly effective and affordable organic marketing. Its services help both small and big businesses to get better visibility online. It offers creative and customized SEO programs for its clients. Among its services are On-Page SEO, Off-Page SEO and keyword research. Learn more on its blog http://www.6WSEO.com/blog. Graybow Communications has qualified as an InfoComm International Emerald Certified AudioVisual Solutions Provider (CAVSP). This designation recognizes that a percentage of the company’s sales, customer service and technical staff have achieved and maintained individual InfoComm Certification. InfoComm awards individual Certification to audio visual professionals who have demonstrated knowledge and comprehension of the science and technology used in communications including audio, video, display and systems. Technicians, engineers, designers, salespeople, customer service personnel, managers and executives are eligible to take the individual certification test. The company-level CAVSP recognition program is the only such program available for the commercial audiovisual industry. In addition to confirming that a percentage of the company’s employees are InfoComm certified and have completed important coursework, the [Diamond, Emerald or Sapphire] CAVSP designation means that [your company or organization name] has agreed to comply with 10 Standards of Excellence developed in collaboration with industry experts to emphasize the best practices of audiovisual businesses. The Standards of Excellence are a guidepost for audiovisual companies and professionals who place the customer first and offer quality audiovisual solutions. They include the commitment to provide complete customer satisfaction with audiovisual solutions that provide value to the client. They convey the importance that audiovisual solutions providers place on their own skills development through continuing education. They also cover the critical role that audiovisual professionals play as partners with IT specialists, architects, building managers and others. Graybow Communications (www.graybow.com) is a Minneapolis based commercial audio visual company providing custom solutions, on-premise support and cloud services to customers throughout North America. For over 17 years, Graybow has catered to the audiovisual needs of national clients who require predictable results across multiple geographies. Their areas of expertise include conference rooms and boardrooms, training centers, network operations centers, video conferencing solutions, command and control, and digital signage. InfoComm International is the industry leader in certification for AV communications professionals. InfoComm’s Certified Technology Specialist and Certified Technology Specialist – Installation are the only audiovisual certification programs accredited by the International Organization for Standardization’s (ISO) United States representative, the American National Standards Institute (ANSI). Also recognized by the U.S. National Certification Commission and accepted by the U.S. Veterans Administration for reimbursement under the Montgomery G.I. Bill, InfoComm certification programs are designed to establish and maintain widespread credibility for the audiovisual industry and the professionals who perform the work. The company-level CAVSP designation recognizes professionalism and expertise achieved through professional development, training, and commitment to the certification of employees. Mobile TV network Yamgo has launched its 100th channel after securing a worldwide distribution deal with media giant Sony. The launch of Sony SAB, a hugely successful Indian focused entertainment channel with a strong youth following, gives the strong Yamgo Asian content portfolio another boost. As mobile TV usage explodes the Yamgo viewing figures in India, Pakistan and other Asian countries continues to see rapid growth. Yamgo CEO Ian Mullins said: “We’re constantly adding the best quality content to our channel line-up and hitting the 100th channel landmark with such a prestigious and popular partner is great news. 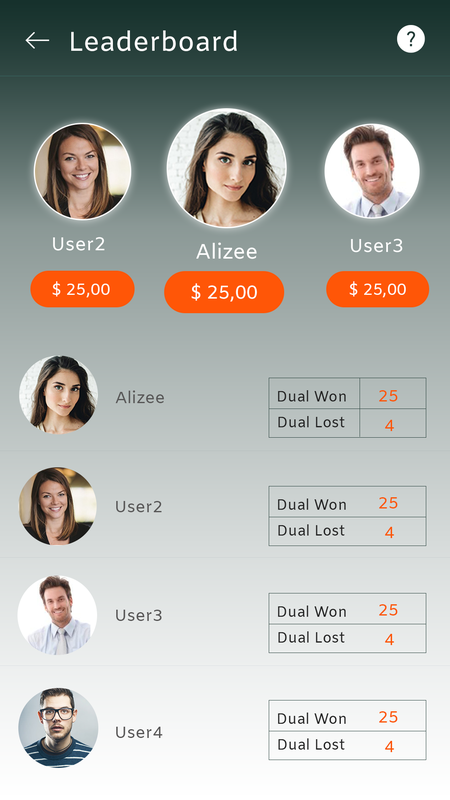 “Since the creation of Yamgo in 2006 the mobile industry has grown at an incredible rate. We’re giving people access to TV on mobile devices – in many countries this is a breakthrough that is seeing TV go mainstream. “What we are doing at Yamgo is offering the type of channels that people are used to watching in the home, but with advanced compression technologies that make them easily watchable on a wide range of mobile devices, from feature phones to smartphones. With over 35 million views per month, over a million smartphone app downloads and 100 channels across 6 different genres Yamgo is now one of the world’s leading mobile TV providers. Yamgo’s technology platform has been designed to maximise the compatibility across networks and phones. It does this by dynamically adapting video streams to address the different needs of thousands of mobile devices and networks from 2.5G, 3G and 4G to Wi-Fi and broadband. Yamgo delivers the experiences of live television, primetime programming and video-on-demand services on all major device platforms including Java, Android, iPhone, iPad, Symbian and more. The company now has distribution deals with some of the major TV broadcasters and rights owners, including Sony, France24, Trace Sports and Fashion TV. It’s clear that it isn’t just the way people watch TV that’s changing. Several major brands are adapting their marketing campaigns to capture the attention of their increasingly mobile audience. Businesses can advertise on mobile for a fraction of the cost they would have to pay to place the same ad on television. Mobile advertising can also provide the same audience levels as traditional television but allow interactive ads, making the advertising effectiveness more measurable. In 2011 the IDC (International Data Corporation) forecasted that worldwide business-to-consumer m-commerce would increase from the $80 billion in 2011 to $554.7 billion in 2016, reflecting an annual compound growth rate of 47 percent. One of the main factors for driving this demand is through video advertising on mobile TV, which allows brands to play interactive ads. This has already proved to be 27 times more successful for click-through rates than static ads. The important challenge for brands concerning mobile TV is finding premium, quality content to play their ads alongside. Yamgo is the market leader in having the best channels for genres such as Bollywood, Music and Fashion. Yamgo currently offers seven genres in total, including Fashion, Bollywood and Music, there are also channels containing News, Sport, Bikini and Entertainment. A Lifestyle category is currently being contracted. As a mobile TV distribution network Yamgo TV allows viewers to watch live and linear channels through Internet enabled mobile devices and desktop computers. Yamgo TV is available on all leading mobile platforms and devices including iOS (iPhone, iPad, iPod Touch via the app store), Android (phones and tablets via the Google Play store), Nokia, Blackberry, HTC, Samsung and HP webOS. Duplicate web page content is bad for any website because it greatly affects SEO, but SearchCatalyst, an SEO agency dealing exclusively in small business Internet marketing, says it is particularly bad news for small businesses. Aside from negatively impacting on a user’s online experience, duplicate content is particularly disastrous for SEO. It affects the site’s credibility, which is one of the most important ways a site can rank highly, organically, on search engines like Google. Google ranks sites based on several criteria, each of which is built into its complicated search algorithm. Relevancy is the most important – does the site list content relevant to the search query? – but credibility is a close second. However, this issue affects all businesses, big and small. An issue that is more likely to affect small businesses, or expanding ones in the processes of upgrading their websites and online presence comes down to duplicate content on developer sites. Quite often web developer domains – where developers work on websites – are indexed by Google. Developers can be completely unaware they have created duplicate content but as websites take a few months to develop they can sit on developer domains for a while and the duplicate pages will negatively affect search rankings on Google. This generally impacts small businesses to a greater extent than larger companies because they don’t have the scope and finances to implement new pages quickly. Google’s algorithms are highly sophisticated and can filter out sites that have duplicate content. Some may be labelled as spam as a result, whilst others will just be listed much lower down on the SERPs. Google has become much better at detecting duplicate content since the Panda algorithm update, which all small businesses and developers should be aware of. SearchCatalyst offers affordable SEO services to small businesses looking to boost organic search rankings and gain greater online exposure at minimal cost.